We have a thriving ministry for women, with seven day-time and evening groups known as Echo groups. These are groups where women meet and eat together, study God’s word and pray for each other. There is also an annual creative evening for women known as Envision and a number of social events. Jo Hird leads this ministry with a vision and passion to see women strengthened and built up through fellowship, worship and prayer. 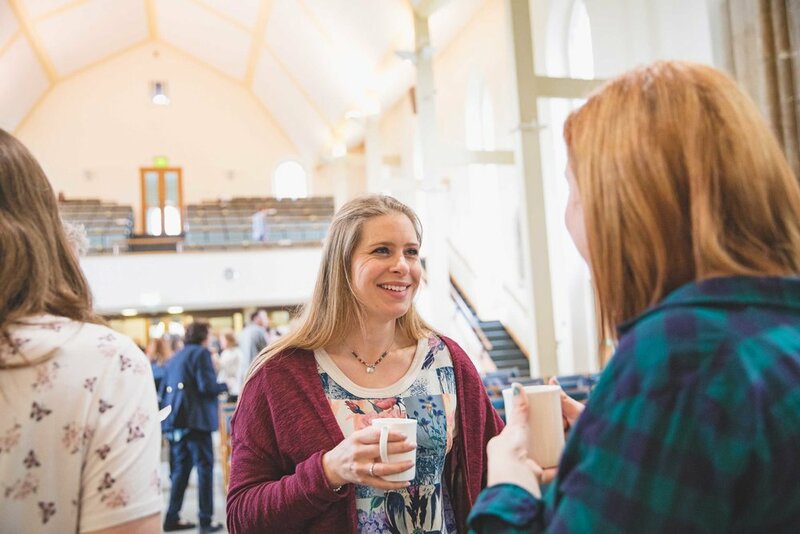 Using her studies in Psychology, her love for God’s word and her creativity, Jo seeks to reach out to women of all ages and in all circumstances. Her passion is to encourage women to apply God’s word in their everyday lives, to recognise their true identity in Christ as overcomers and to reflect God’s glory in their lives. Drawing on her own personal experiences of loss, Jo brings depth of understanding, as well as a true demonstration of the faithfulness of God’s word in her own life. As a part of a caring, worldwide Christian organisation we have a particular focus on mission and supporting families. With monthly speakers and visits and social events. A lively and supportive group of women of all ages who meet monthly to enjoy a variety of speakers, outings and fund-raising activities.